With Halloween just a couple of weeks away, it seems like some retailers are already preparing for a spooky time. Thanks to reddit user marioman63, we now have a photo of how one grocery store is celebrating October 31. 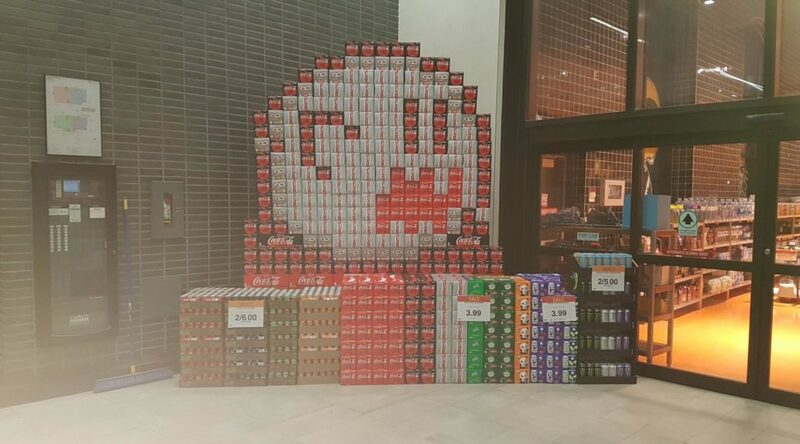 Namely, by building a giant boo statue out of soda cartons to greet customers! While this boo doesn’t cower in fear when you look at it, it’s still a really impressive recreation of its appearance from Super Mario World. The store must have had a pretty experienced sprite artist working for them.